Today’s forecast calls for relentless wins across multiple sunny spins! You don’t have to be a weather-man to know which online slots are worth checking out and which aren’t. In Tom Horn Gaming’s Wild Weather, you are given all the chances possible to weather the storm and actually come away with some of the biggest pots possible. If you love slots that try to do something a little different in order for you to make a pretty penny, then you will find that Wild Weather is right up your street. 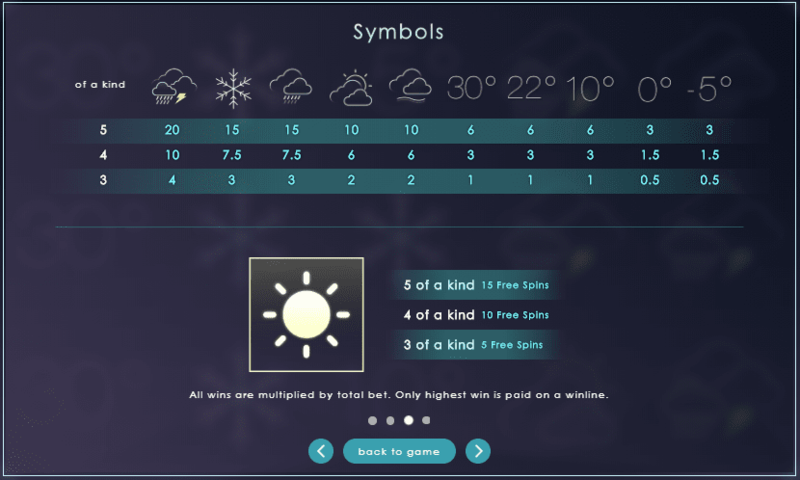 Wild Weather is a 5 reel by 18 pay-line new online slot game, one that boasts a ‘win both ways mechanic’ a feature that will definitely change the way that you approach each spin outright. 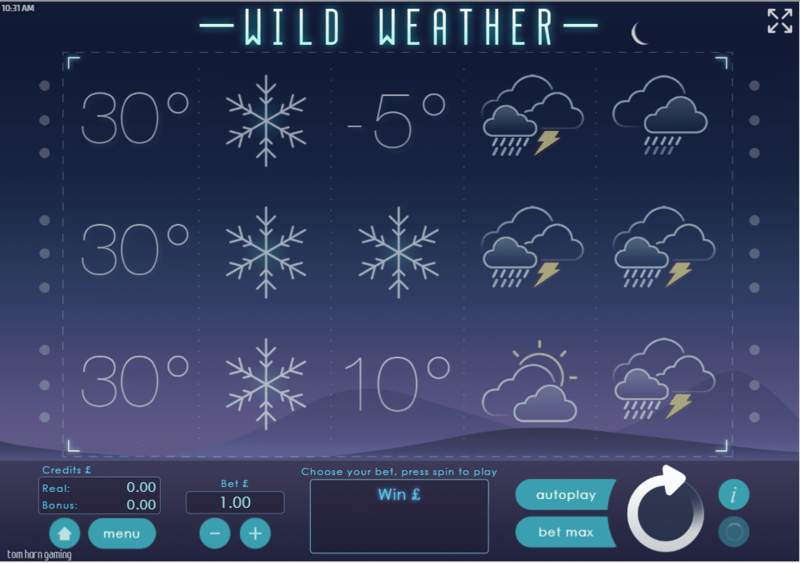 Wild Weather is a slot that is mobile optimised, which means you can take the action anywhere you see fit! Check out the rest of our review below to find out more! With offices located in Malta, Slovakia and Ukraine, you could say that Tom Horn Gaming is an online promotion slots prospect that will one day dominate the entire online gaming market! Lasting experiences are just another day at the office for these guys, having using all the creative tools at their disposal to give players the chance to make thousands of pounds on the daily. Their list of highly enjoyable online slots seems to grow each and every day, with developers here there and everywhere keeping track of their exploits in hopes of finding the same level of success. Expandable Wilds: Look out for the tornado symbols in Wild Weather, as these will expand when you match them on the reels. You will know it has expanded given how big it appears on the reels as well as the money attached to it. Scatters Galore: The sun symbols in Wild Weather represent the chosen scatter symbol. Scatters will grant access to the free spins. Free spins offer additional multipliers to scores, thus making scatters vital in giving you the best chances possible of getting those high scores. Win Both Ways Mechanic: Most slots have the generic left to right orientation, whereas in Wild Weather, you can match symbols in various other directions. Wild Weather might be our favourite weather-themed slot, simply because of how well the developer has managed to balance great gameplay with intriguing gameplay elements. Come rain or shine, this slot will always be here for you. Play now! Or check out the other slot games with bonus games at Slotsbaby.